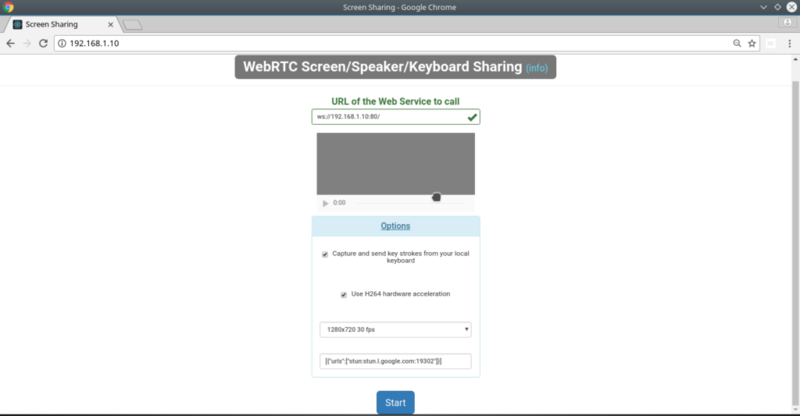 In this example we will see how to configure the Raspberry Pi to serve a web app which allows the Raspberry Pi to share its screen and speakers (“what you hear”) to the PC browser. Additionally, thanks to a virtual keyboard running on the Raspberry Pi, it will be possible to emulate the keypresses captured and sent from within the web page in the browser. Okay, now you are asking yourself what are the differences from VNC+SSH or other similar sauces? Many differences (see the below list of features): this one tries to be a step forward in the modern era where everybody expects to do everything in the browser with no pain and is intended to work in a LAN as well as over the internet. 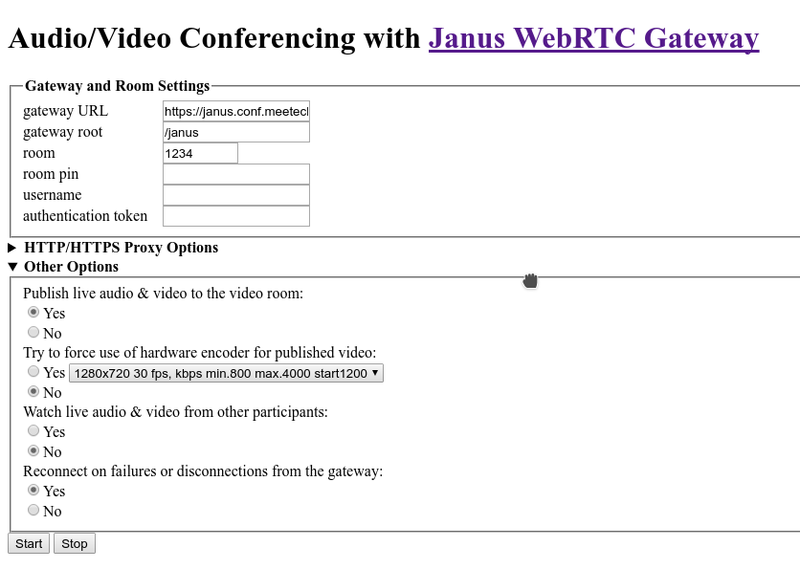 As a bonus we will give very easy instructions about how to push the screen to a Janus videoroom in the cloud so that one or more participants in the room can see and even control your Raspberry Pi through their browsers. A link to the source code and hints about how to improve or customize this web app are provided later in this page. for developers: the client web app is implemented with the React JS Library, so it can be easily debugged or further customized (e.g. with nodejs). Although specific to the Raspberry Pi, because we are assuming the Video4Linux2 raspidisp driver is used to efficiently capture the screen, this example works with little or no modification on x86 if we load the xscreen driver instead of raspidisp. 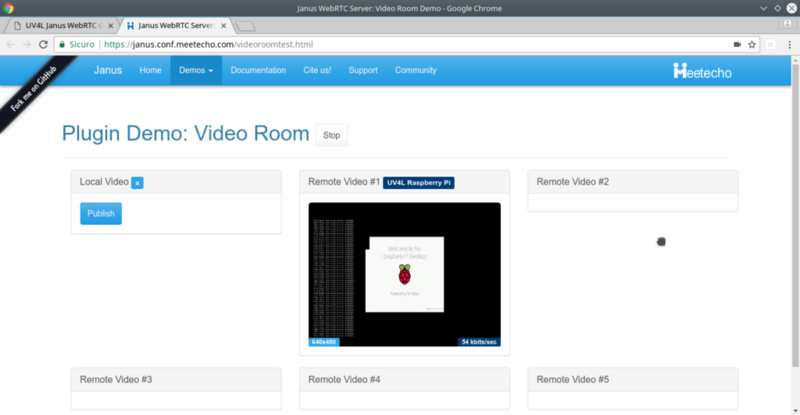 The following installation steps have been tested on a fresh new installation of Raspbian Stretch on a Raspberry Pi 3. Beware the poor Raspberry Pi Zero CPU can hardly cope with audio and video at the same time, you will have to choose between the two in this case. Install all the required UV4L packages according to these installation instructions (do not consider the generic section about the audio settings as we will discuss this in a moment) : uv4l, uv4l-raspidisp, uv4l-raspidisp-extras, uv4l-server, uv4l-webrtc, uv4l-demos. The uv4l-demos package contains the web app which has been already built from the sources. Playing the audio through your loopback interface makes it possible to capture it, but there will be no sound in your speakers. In order to play audio on the loopback interface and your actual interface you must make use of the ALSA multi channel with this more sophisticate asound.conf. With regard to audio, if you try to play some music, for example, you should hear the sound coming out from the PC speakers. Now you can reboot or restart the uv4l_raspidisp service to make the changes effective. At this point the web app is available under the https://<rpi_address>. On the first access, the browser will ask for the credentials: type “www” as user and previously chosen password (“mypassword” in this example). 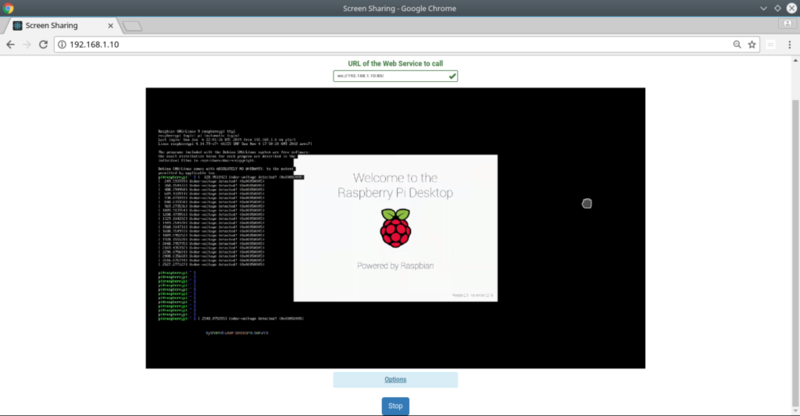 Note that if data channels are enabled, anybody in the room can take control of the Raspberry Pi if the keyboard emulator is running on the Raspberry Pi. To disable the keyboard emulator service please refer to the configuration paragraph above. If you want to start or stop via command line, please refer to this more detailed example. Playing RetroPie games in the browser! The web app can be extended to support the following use cases. Contributions are highly appreciated.